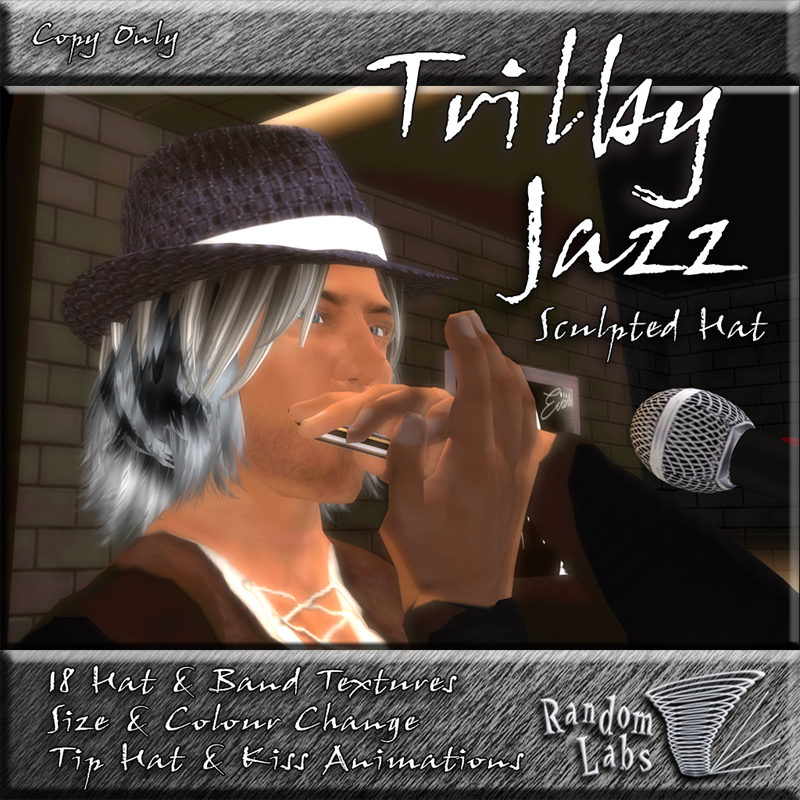 The Trilby Jazz is a 2 prim sculpted Trilby hat controlled by a scripted menu system. You can customise its size and colour and select from 18 hat textures, 18 band textures and 10 bump map effects, allowing for over 3000 different styles! There is also a convenient “Set Text” option to set a floating text message above your head if needed, and an animations menu that currently has a tip hat and avatar kissing options. The hat is auto-update, so if 3000 styles isn't enough for you I plan to keep adding more textures as I go.